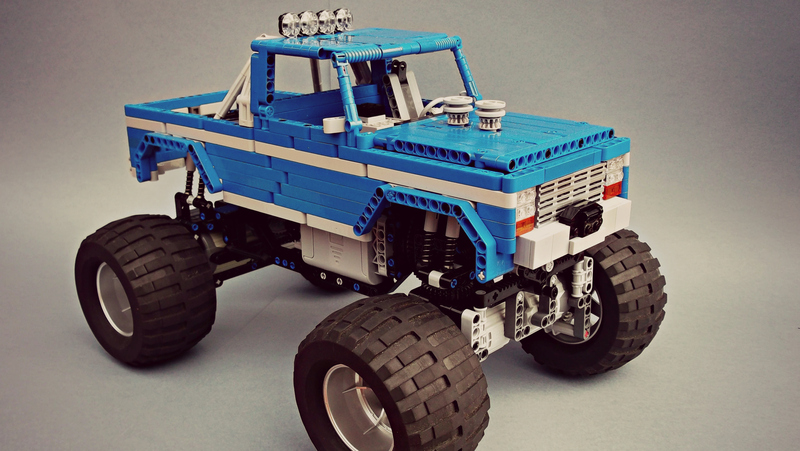 A Lego Technic version of the BigFoot #1 monster truck. When buying this model it does not include a Sbrick, you can use the PF system but you will need to add a PF receiver, PF remote, PF switch to your order. I would recommend using the Sbrick for better control. The instructions are high quality photo instructions and there is a complete parts list on ReBrickable, or you can buy the complete model from MOCHUB. The MOCHUB listing includes the instructions.